With the London Olympics less than a year away the man in charge of a core Olympics application describes the rigorous development process as well as the need for developers to "put themselves through hell" to perfect software. 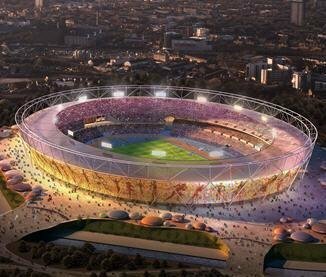 A team from Atos is developing the software that will provide commentators at the 2012 London Olympics with accurate information in real-time. The team has just completed the first phase of testing the software in sporting venues. The Commentator Information System, as it is known, has been shadow-tested rigorously in the datacentre but the venue testing is critical. Since 2002 Atos has been the Olympics' main technology partner, responsible for coordinating the many suppliers. Omega systems record the results and send the data to the Commentator Information System (CIS), which processes them and sends the information to the touchscreen monitors commentators will use. The first round of live testing, which included testing systems for equestrian, modern pentathlon and volleyball, has seen the team move hardware to the venues for 15 sports and test the systems with real-life events. The remaining 21 sports will be done in two more rounds of testing. When the tests are complete, the hardware moves back to a datacentre in Canary Wharf for even more testing. The work that goes into this application, which viewers and athletes never see, is vast. For this core application there will be three teams of 160 people monitoring and supporting the application twenty four hours a day, for two months leading up to and during the Olympic Games. Applications at the Olympics fall into two groups. These are results information systems, which CIS is part of, and core games management systems such as a workforce management and scheduling application and a system to accredit participants, workers and volunteers (see panel below). The Java based CIS system, which uses XML to transfer data and a Microsoft SQL database, was first developed by Atos in 1992 when the French system integrator won its first contract to work on the Olympics IT. The Olympics was in Barcelona that year so the software was developed in Spain. It still is to this day. But the current system has never been more different. Mert Karakilic, an Atos application manager for the Olympics who is in charge of the CIS system, told Computer Weekly about the changes that have been made to the software for London 2012. He has been working on the CIS system for the London Olympics since late 2007, even before the previous Olympics in Beijing. He said normally the software doesn't change that much from the previous Olympic Games, with between 50% and 80% remaining the same. Improvements and responses to requests from the users, the commentators, means tweaking is required. "People look at the systems used in Beijing and suggest improvements and some are then agreed." Typically things like the operating system and the browser change every four years but the underlying technology remains largely the same. But the London 2010 CIS will be completely different. "The software has remained very similar since 1992, but as well as optimisation we gave the system a facelift this time," said Karakilic. "For the first time all 36 sports are on the CIS system as well as some Paralympics events." The previous Olympics in Beijing only had 25 sports on CIS, with no Paralympic events. The fact that one company has had the job of providing the software for so many years makes optimisation and improvements more achievable. Karakilic says the company has 20 years' experience with the application and he adds that the company is proud of its knowledge transfer process. But he says nothing can prepare the team for the technical rehearsals. These rehearsals see the team deliberately cause problems in the live environment, which have to be identified and fixed quickly. "We have no idea what to expect and they just pull plugs out and things like that. We put ourselves through hell." Different events and scenarios are given different levels of importance which means some have to be resolved faster than others. The team will carry out technical rehearsals in March and May next year on the eve of the Olympic Games. Identifies accredited participants, manages registration, assigns access privileges and provides access control information. At work long before the Games start, supports the HR department with all functions needed for managing, interviewing and training staff and volunteers. Provides IOC statistics about medical incidents during the Games. Delivered by Omega, to provide results information for each Olympic venue. Displays results at the venue broadcast sites in a fraction of a second and provides results to broadcaster almost instantaneously. Centralised database feeding event data and results to world press agencies and Olympic officials. Prints all the information about the Games, including schedules and results. Provides competition data in a standard Olympic format to the world press agencies. Reuters, AFP, Kyodo, AP, PA and SID. The Olympic family intranet accessible to media, athletes and officials, it provides everything you want to know about the Games, including biographies, background information, schedules, results and weather. Atos has been the main IT services partner at the Olympics since 2002 and has been involved with the Olympics for 20 years. It said the contract is the world's biggest sports IT deal. The company provides some of the event's main systems, such as the commentator information system, which relays information direct from each game to the media. It also acts as the chief integrator, ensuring that the systems of all the suppliers work well together. Atos first provided systems for the Salt Lake City games in 2002. What are the different suppliers doing?